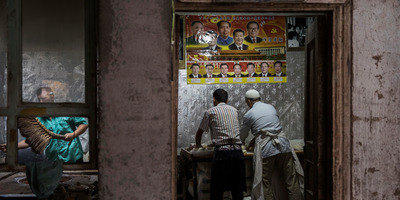 China subjects the Uighurs, a majority-Muslim ethnic group, under an unprecedented amount of surveillance, and is accused of imprisoning up to 1 million of them in detention camps and re-education centres. China has launched an unprecedented crackdown on the Uighurs, subjecting them to thousands of facial-recognition cameras, forcing them to download apps that track their mobile phone activity, and allegedly imprisoning up to 1 million of them in detention and re-education camps where many endure psychological and physical abuse. 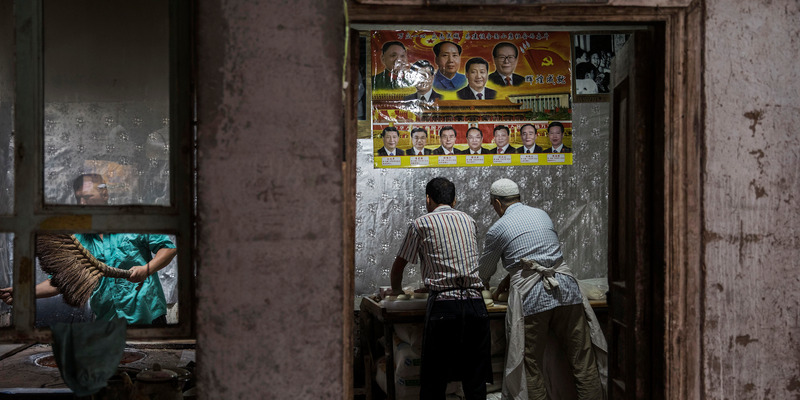 Kevin Frayer/Getty ImagesUighurs make bread under a poster of Chinese leaders, including Mao Zedong and Xi Jinping, in Kashgar, Xinjiang, in 2017. They are subjected to an unprecedented amount of surveillance in their home region. “We hope that as ambassadors, they can truly fulfil their responsibilities and obligations, play a positive and constructive role in helping their countries to understand China in a true, comprehensive and three-dimensional way, and to promote mutual trust, friendship and cooperation between China and the countries they represent,” she added. Hua also accused the signatories of hypocrisy, claiming that all of China’s ethnic groups – including the Uighurs and Hans, which are dominant in China – live in harmony and that the Uighur camps were a means of assimilating Uighurs.